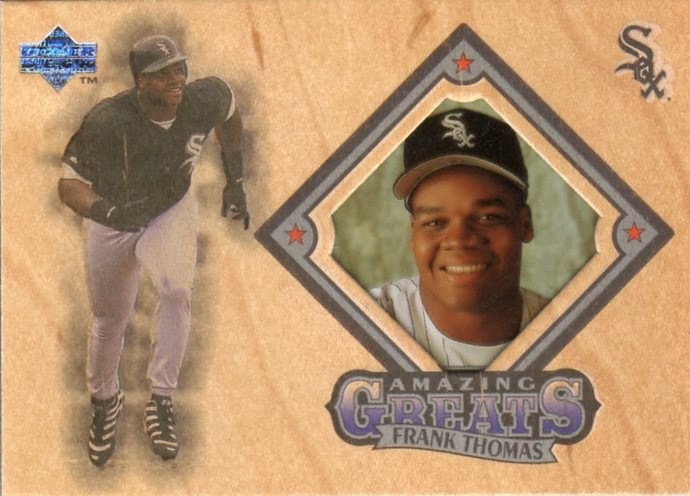 Frank Thomas was my favorite non-Brave player in the '90s. The Braves selected Tyler Houston one pick before Frank. Can you imagine if Frank Thomas was the Braves' first baseman in the '90s? I can. It's my reality now. 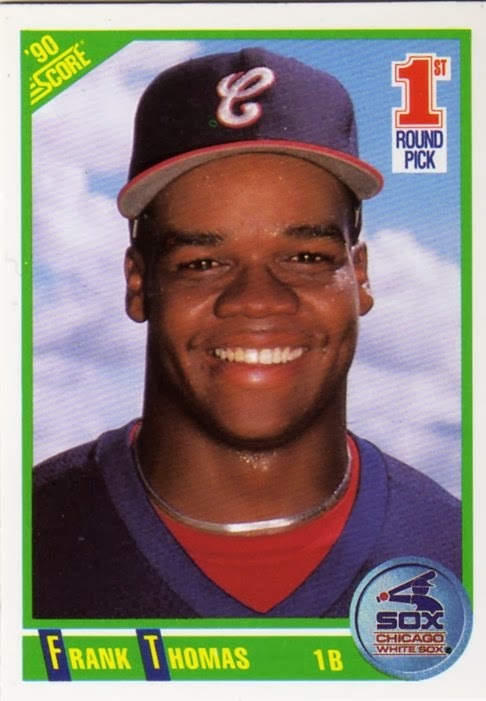 Frank Thomas has always played for the Braves. My doctors keep telling me to take my meds but I'm really much happier like this. 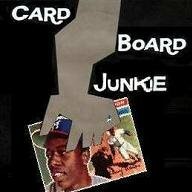 I spent so damn much money in the early '90s buying overpriced 1990 Score packs chasing this card and I never pulled it from a single pack ever. Ben McDonalds I pulled. Chuck Knoblauchs I pulled. Even Tyler Houstons I pulled. Not. One. Frank. Then a couple years ago I bought the complete 1990 Score set for $5. In a binder. Selah. Unless you collected cards in the '90s you have no idea how amazingly cool Studio Heritage inserts were. 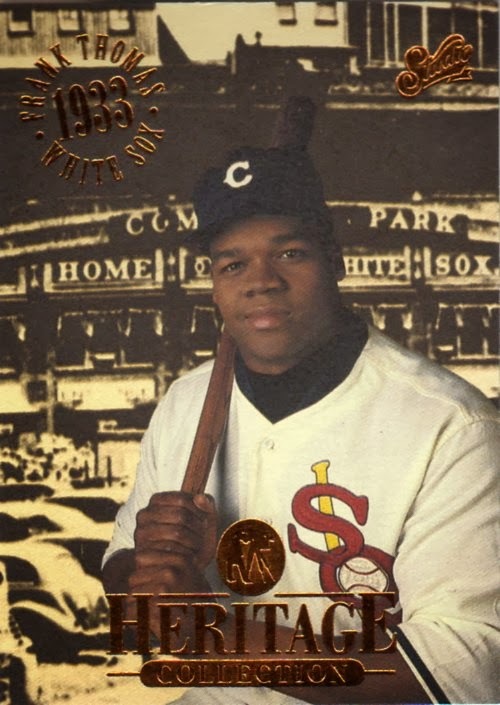 This one from 1994 showing Frank in a Sox uniform from the '30s with the sepia photo of Comiskey in the background on textured paper stock with a touch of foil for class is almost too amazing for words. Man, the Braves would have swept every World Series in the 90s if they had Frank Thomas! EVERY ONE! For the sake of competitiveness, it's good they didn't pick him. Awesome cards. Every one of them. FIRST POST OF THE NEW YEAR!! !